Brotherband-Scorpian mountain by John Flanagan. 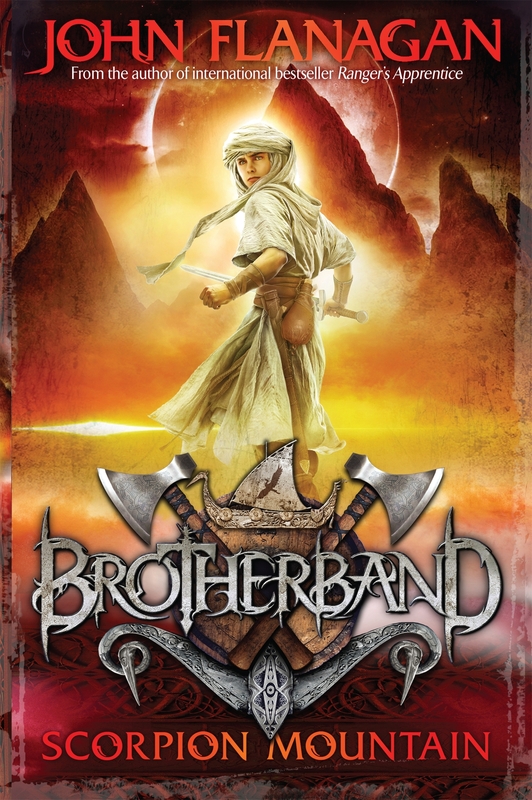 The fifth book in the incredible Brotherband series. Hal and his brave crew are embarking on an adventure they’ll never forget. Some of the crew aren’t so keen, especially Ingvar. The massive Scandinavian has had time to think. He has reasoned that he’s more a hinderance to the crew and all onboard, than a help. Is there way Hal could convince the Ingvar otherwise? king Duncan’s daughter is grave danger, so he’s sending Hal’s crew and Gilan on a quest to find and eliminate his daughter’s attackers. This endeavor will take them to strange countries and foreboding lands. Teen Rating : I hope they make another one. 5/5.